DirectView Holdings (OTCMKTS: DIRV), a fast-growing provider of security, surveillance, video, and teleconferencing, today announced the company has seen a rise in new requests from a number of key markets, adding to the company's impressive results in 2018. According to the press release, the requests have been coming in from schools, aviation, data centers and hotels. One new technology that DirectView is looking to incorporate to its surveillance products and installation offering is Artificial Intelligence. The continued success of DirectView in comes as no surprise, given that the company recently announced record-breaking revenue growth thus far in 2018, with year-to-date revenues up an additional $500k to total $6 million. This continues strong revenue growth trends seen in the previous year, as recently reported in 10-Q filings, showing quarterly year/year sales growth of 1,689% for the three months ended September 30, 2017. Management believes 2018 will shatter company records. 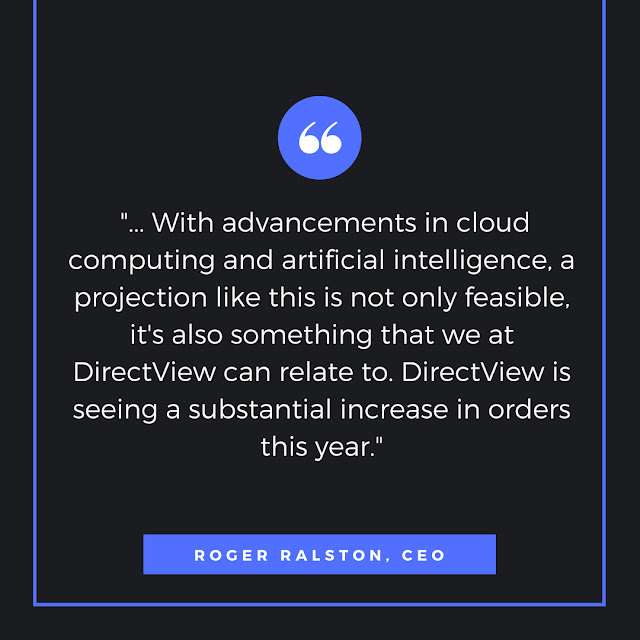 Roger Ralston, DirectView's CEO said, "It's projected that the video surveillance system market will reach a value of $43.8 billion by 2025, and if you gave me that projection a decade ago, I wouldn't have believed it. 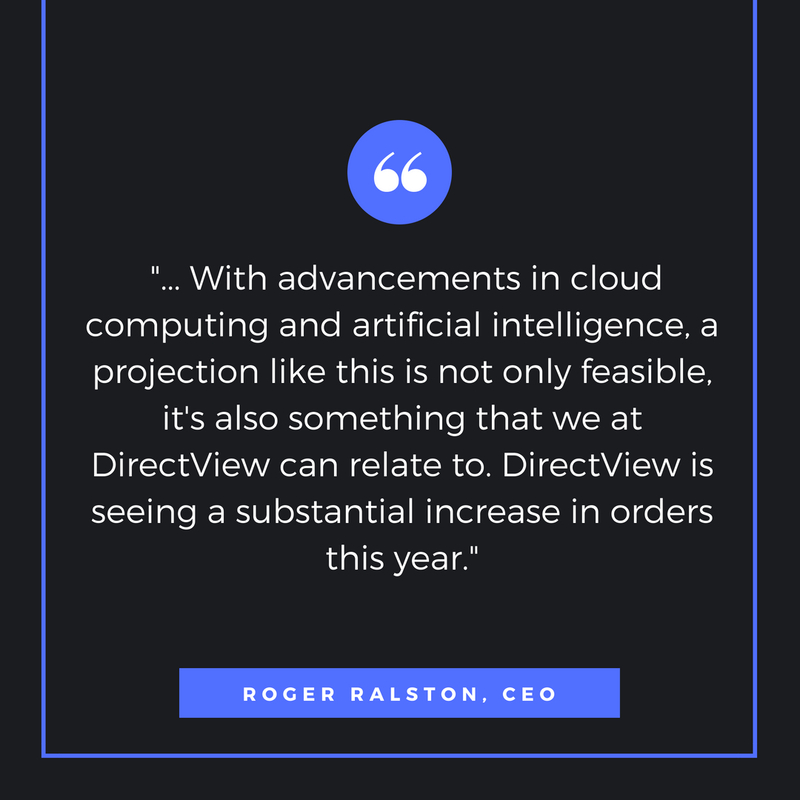 With advancements in cloud computing and artificial intelligence, a projection like this is not only feasible, it's also something that we at DirectView can relate to. DirectView is seeing a substantial increase in orders this year. The surveillance systems of today are beginning to use AI technology to detect the behaviors that lead to crime like shoplifting, vandalism and terror attacks, all done in real-time." The first half of 2018 has been a game changer for DirectView Holdings, Inc., (OTCMKTS: DIRV). 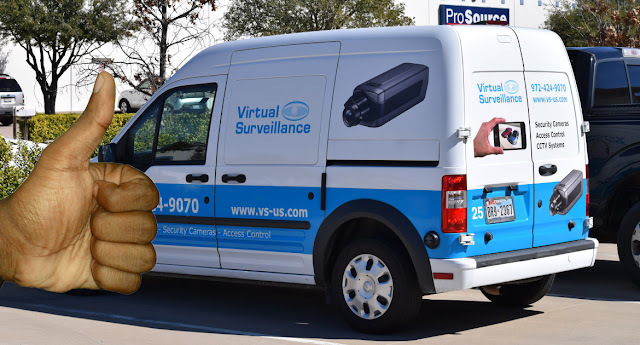 • Platinum Communications - Announced on May 23rd, 2018, DirectView was chosen for the design, installation and service of surveillance and security systems for several locations, including senior living facilities in the Texas region. • O'niel Digital Solutions - Announced on May 17, 2018, DirectView was chosen to protect a multi-million dollar location for O'niel Digital Solutions in Dallas, Texas. • Park Avenue Office Towers - Announced on May 1st, 2018, DirectView was chosen to design and implement security and surveillance upgrades for high profile park avenue office towers in New York City.